Today, all over the world, social workers are marking World Social Work Day. This global event is about celebrating the difficult, complex work social workers do and saying thank you for their incredible efforts to make a positive difference in people’s lives, especially in these challenging times. 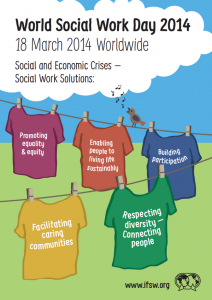 This year’s theme is Social and Economic Crises - Social Work Solutions. It aims to acknowledge the work achieved by social workers in all countries, including promoting equality, building participation and empowering people to have better lives within caring communities. It has been wonderfully refreshing to see all the effort being made across this country - and the world - to celebrate social work and social workers. To get a sense of the breadth of activity check out Twitter using the #WSWD hashtag. As social workers, we don't often take the time to reflect on the great contributions we make or to talk about the very privileged and rewarding work we do. This year, in England, progress has been made to reposition professional social work at the heart of social care. Social workers are combining their understanding of welfare policy and legislation with an ability to intervene sensitively and effectively in the lives of individuals, families and communities to really add value to our society. They are often at the frontline, working in public services to help balance limited resources with the right to expect a good quality of life. A key aspect of social work is to enhance people’s wellbeing and make sure their social care needs are met and human rights respected. The Care Bill, which should receive Royal Assent soon, has these values and principles at its core. As a profession, social work is dedicated to improving the welfare of our society, through working with individuals and the communities they inhabit. The goal is to make sure individuals, families and communities are able to access their strengths and assets to achieve the lives they want for themselves. Social workers are driven by the belief that life can be better for all - especially the most vulnerable. 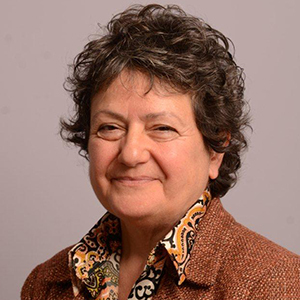 There is still much to do to improve social work practice and its contribution - and to deal with the many issues confronting us in our day to day work. However, I think the renewed energy and passion we have harnessed following the social work reforms and reviews, the growth of the College of Social Work and the Government’s commitment to support the continued development of the profession, together with the establishment of Principal Social Workers across the country, will take us a long way down that path. Like the thousands of social workers across the world, I am proud to be a social worker and part of a profession that recognises the potential in people, helping them achieve their aspirations. I feel Social Workers do not need comments like that to read. I agree there is a long way to go within the profession as a whole but celebrating your profession is worth doing to feel you are worth something in society. Maybe a lot more professionals on the ground would make a start at getting to achieve the goals we need.